Wonderful sky. Good composition with three silhouettes. Wonderful silhouettes contrasting with sky colours and light! Wonderful sky, light, colors and silhouettes!!! 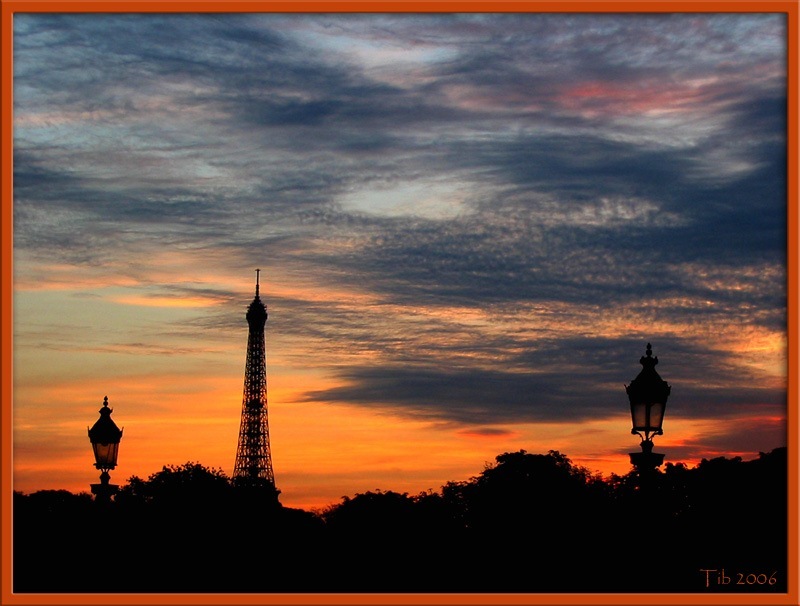 beautiful view of Paris...great colors! Original manner of representation to public of Tour d'Eiffel! The city of light. Extraordinary shot, excellent lighting and contrast. very expressive sky! siluets and `shell-hole` the main details in the foto! i think!